On Monday, the domestic unit signed off the last trading session of 2018 with 18 paise gains at 69.77 but clocked a 9.23 per cent fall during the year. The rupee opened 15 paise higher at 69.62 against the US dollar on Tuesday. The domestic unit Monday signed off the last trading session of 2018 with 18 paise gains at 69.77. On a year-on-year (basis) the domestic unit clocked a 9.23 per cent fall, mainly due to sharp increase in the crude oil prices. 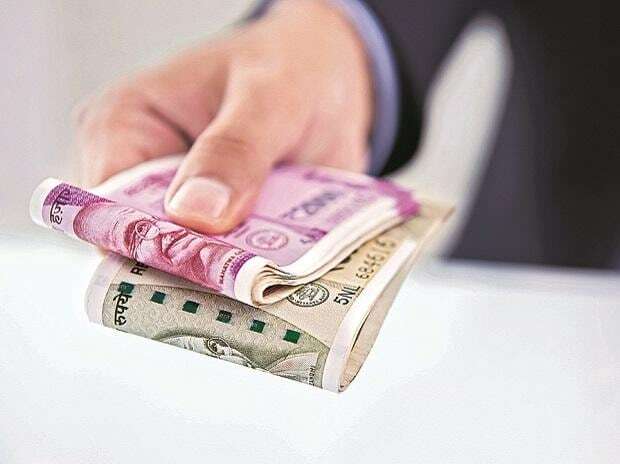 Forex traders, however, said fundamentals are supportive for the rupee over the next 6-12 months amid supportive growth momentum, robust forex reserves. On Monday, the currency consolidated in a narrow range but broadly traded with a positive bias against the greenback. Weakness in the dollar against its major crosses has been one of the major reasons that led to the appreciation in the rupee. On the domestic front, data showed India’s fiscal deficit stood at 114.8 per cent of the budgeted target for the current fiscal year. The fiscal deficit for the corresponding period last financial year stood at 112 per cent, said Motilal Oswal Financial Services in its daily report. "Today, USD/INR pair is expected to quote in the range of 69.40 and 70.05," the report said. On the global front, most of the Asian markets are closed today on the account of New Year. US stocks ended higher in the overnight trade. The Dow Jones Industrial Average rose 265.67 points, or 1.15 per cent, to 23,328.07, the S&P 500 gained 21.21 points, or 0.85 per cent, to 2,506.95, and the Nasdaq Composite added 50.76 points, or 0.77 per cent, to 6,635.28, Reuters reported.